f. Get on your hands and knees and while keeping your back straight, raise your right leg and left arm at the same time, switching back and forth----Repeat 20 times. Do 2 sets. g. Walk up and down the hall doing lunges. 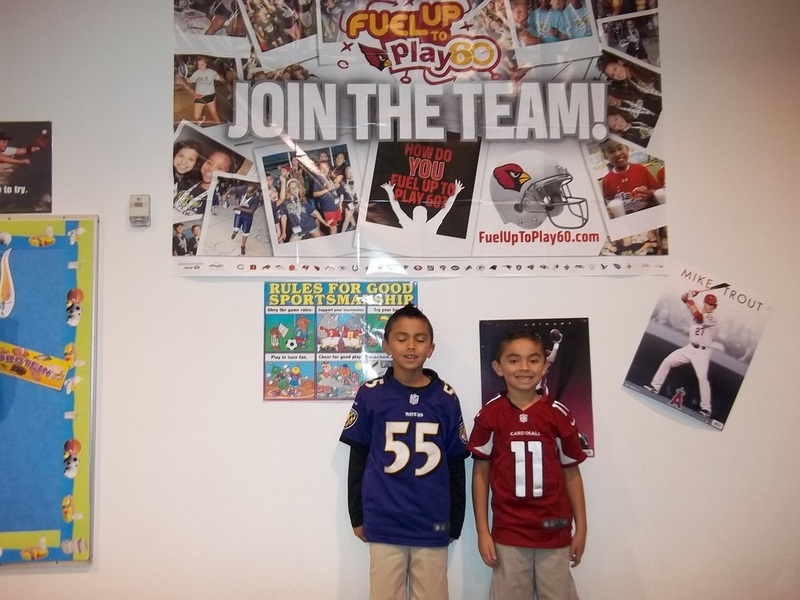 ﻿Fuel Up to Play 60 click on tab to go to site:﻿ Contains ideas on staying active and nutrition. Contests every month and you can make your own 'dashboard'.